Hi-Rel Fuses | AEM, Inc.
AEM is the sole QPL listed manufacturer of solid body, current limiting fuses produced using a thick film technique for the aerospace industry. Our fuses have been chosen by most major space programs and have been in orbit for the past 30-plus years with zero reported failures. AEM Inc.'s P600L, SK406, FM12, and P700L Hi-Rel Fuses are classified EAR99 under the jurisdiction of the U.S. Department of Commerce; for other fuse model classifications, please consult with the factory. EAR99 items are eligible for export to most end users as NLR (No License Required); however, there are certain countries and end users for which a license will be required as referenced in EAR part 736. Additionally, a license may be required if the item will be used in the design, development, production, or use in nuclear, chemical, or biological weapons, or ballistic missiles. 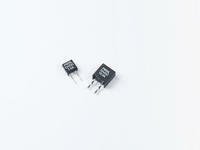 Consistent minimum and maximum clear-times at overload currents regardless of vacuum conditions. Solid body construction does not outgas and therefore is not subjected to the de-rating factors of MIL-STD-975. Solid body construction can withstand greater vibration and shock exposure without damage. 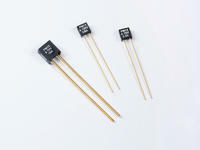 Positive temperature coefficient of fuse element causes resistance to increase (prior to opening) thereby preventing absolute short to the power source. Internal construction assures that arc, plasma, and vapor are contained within the fuse package during overload current conditions. P600L fuses have been subjected to over 6 million hours of life testing without a failure. 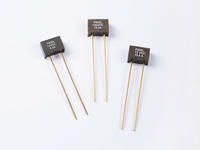 AEM's P600L fuse series is the commercial version of the QPL'd FM12A series. 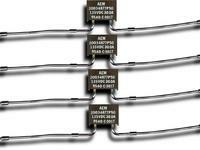 AEM's P700L fuse is a surface mountable version of our solid body series. It is available on tape & reel for automated manufacturing processes. AEM's P800L slow blow fuse series was designed to operate with slower clearing times, providing engineers additional flexibility in their electrical designs. AEM's SK406 series is a modified lead configuration of the P600L, providing the design engineer additional flexibility of surface mounting the popular P600L series. 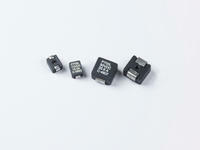 AEM's SM1206 fuse is a surface mountable chip version of our solid body series. It is available on tape & reel for automated manufacturing processes. 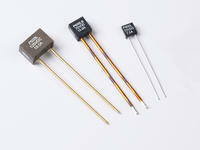 We offer a wide range of higher voltage devices not found in our standard solid body product offerings. 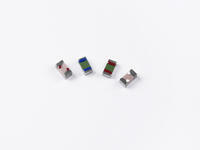 Also available are custom lead configurations and matched sets. Please contact a representative with your fusing requirements.